Creating luxury skincare brand Holos was a natural progression for Niamh Hogan whose background is in natural health. 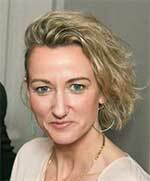 A yoga, exercise and meditation teacher, Niamh always had a strong desire for a holistic lifestyle. But it was when she was running her own health centre in Gorey, Co Wexford that the idea for Holos Skincare started to niggle at her. Her clients at Holos Health and Wellbeing were dealing with issues such as stress and anxiety and Niamh began giving them blends of oils to take home. The blends were nurturing and made the clients feel better between sessions. Her partner Paul started designing labels, demand rose and Niamh took the plunge, setting up Holos Skincare in 2014. The luxurious plant-based aromatherapy skincare gives users healthy vibrant skin but also helps them feel good. It has received high-profi le media attention in the national media and has won a number of beauty awards. While she was a participant on ACORNS, Niamh appeared on RTE’s Dragons Den and received investment from Eleanor McEvoy. She was also successful in getting funding from Enterprise Ireland in the form of the Female Competitive Start Fund. In 2015, Niamh was shortlisted for the Image Business Woman of the Year Award – an award she has vowed to eventually win. Despite being extremely busy, Niamh still manages to fi nd time to regularly meet participants from the ACORNS programme. She has hired two employees so far with a third starting shortly and has already started expanding into Northern Ireland, with ambitious plans in place for the UK and the US.